One of the biggest things that can go wrong is a leak or break in your water main, the pipe that brings water into your home. When the main water line breaks, you’re without water until it can be fixed. Depending on the severity of the situation, the water line often needs to be completely replaced because early warning signs went ignored when the problem was smaller. For those who are not familiar, trenchless technology is a collection of techniques that make it easy to repair or replace subterranean sewer system components without digging unsightly trenches. By using trenchless techniques, contractors are able to gain access to the water and sewer system, diagnose the source of any leaks or other problems and fix them on the spot, without having to dig up your whole yard. If you need help with replacing your sewer system, you should consider our trenchless sewer line replacement services. There are some pretty obvious advantages to using trenchless methods over traditional ones: less mess, no need to reseed the lawn and a less intrusive process in general. These are all clear cut, but there are some other pros to trenchless that you may not have considered. 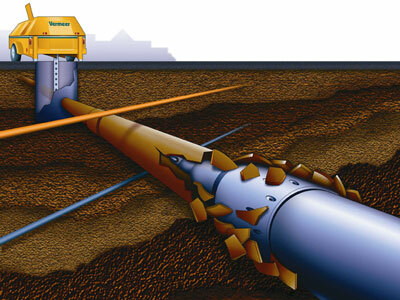 First of all, trenchless methods are very cost effective. 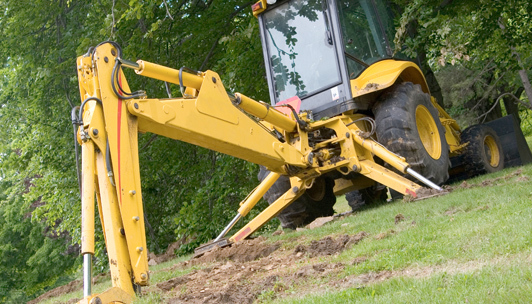 Doing trenchless water, septic or sewer work requires fewer workers and less time, which means decreased labors costs. The materials are also relatively inexpensive, so the overall result is generally a cheaper fix. Secondly, there are no chemicals involved, and the materials used are not toxic or otherwise hazardous to the environment. Plus, once complete, you’ll be assured of a sealed system that is not leaking sewage into the nearby earth and water. Lastly, trenchless technology gives you a wider array of options for solving your water, sewer or problem. For example, if there are just minor leaks along the lines, you may opt for relining them. If the damage is more extensive, the lines can actually be completely replaced with new ones using trenchless technology. Obviously you hope to never have to deal with any major water main or sewer line issues, but if you do, you should seriously consider trenchless technologies to solve those problems. The Warminster area trenchless experts at Resolve Trenchless are standing by to discuss your options and make professional recommendations. Call us today to discuss any issues you might be experiencing and learn how you might be able to minimize the impact on your time and wallet by employing state of the art trenchless technology.